Turn around time is one week or less. Revising, script doctoring and ghost writing beginning at $1000, depending on credit and the difficulty of the revising/doctoring. Consultation on a regular basis: $50.00 an hour with a six hour minimum. When providing coverage or script consultation, I am a firm believer in not providing feedback based on a set of rules one gets from a popular book on screenwriting. All coverage should be based on the idea of trying to make a script work on its own terms. I don’t care if a character is active, passive, or reactive, but only if the story works. I don’t care if there is a three act structure and the first act ends on page 30, but only if the story works. I don’t care if the central character has a character arc, but only if the story works. I am a great advocate of writers trying to break the rules and find new ways of communicating their visions. I began doing script consultation in 2003 for the Slamdance Screenplay Competition. That year and for the next three years I discovered the first place winner. I quickly became one of their top readers. In addition, I have read for the Slamdance Teleplay Competition (where I discovered the first place winner the first year) and the Horror Screenplay Competition. Also through Slamdance, I originated and co-produced the Slamdance on Stage reading series in which the winners of the competitions were provided staged readings of their scripts at different legitimate theaters around town. At the present time, I provide coverage and am a reader for the Big Break Final Draft Screenplay Competition and the various ISA (International Screenwriting Association). I have also read for Here! Networks/Regent Entertainment, Creative World Awards, the African Film Commission Screenplay Competition and been a judge for the Great Gay Screenplay Contest. I have also ran two different writing groups in Los Angeles. Michelle Atkins, who won the Nicholls this year for her screenplay Talking About the Sky, gave me a great shout out as a script consultant in her interview with Scott Myers for Go Into the Story. Among other things she said, “What Stephen King calls your ideal reader…”. Check out the interview at http://ow.ly/733G30bKwwQ. Thanks, Michelle. In addition, a screenplay I did coverage for is a Nicholls Finalist. Talking About the Sky, by Michelle Atkins. Congratulations, Michelle, well deserved. I am also thrilled to announce that Thailand chose as its entry in the 2015 Oscar foreign language film category, Josh Kim’s How to Win at Checker’s (Every Time). I am proud to say that I did script consultation on this film and received special thanks in the credit. Getting coverage from Howard allowed me as writer to step back and look at the screenplay from a wider perspective. Not only did Howard highlight problem areas, but he brainstormed ideas to help solve them. He is definitely a source I plan to come back to with future projects. As someone who’s written coverage, and also a winner of both Page and Fresh Voices competition, one might question my need for additional coverage of my material. 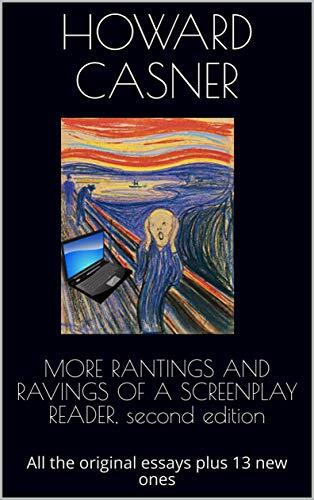 The reality is that we all need it and Howard Casner is above average in his ability to evaluate material and spot deficiencies that might elude even the most experienced writers. Though I have professional representation, it is tough to find unbiased and intelligent coverage before going to market. The old joke about “My mother says my script is great!” certainly applies here. You need independent honest perspectives to grow as a writer. Mr. Casner’s coverage is about as good as I’ve seen. While no single reader’s coverage and thoughts should shape your material, his voice is worthy of a careful listen. *Highly recommended for new writers and seasoned veterans.*. This is the third time I’ve sent something to you, and you have been incredibly spot on every time. Thank you so much. I’m revising another script at the moment and working on new one too. You can bet that I’ll be in contact with you regarding notes/feedback. Howard’s feedback showed a complete understanding of the world, I created. It was very helpful to me in fleshing out a stronger journey for my main character, and their relationships with other characters. His comprehensive proofreading notes are superb, and I highly recommend his services to screenwriters of all levels. Have Howard look at your script before you send it anywhere! I was so close to my project and felt like it was more polished than it had been several drafts ago. But Howard was able to identify some key structural and plot issues that really make a difference. He’s objective, insightful, and turns it around fast. He’s a real professional, and his feedback is invaluable if you want a script that works. to pick up on the problem areas that I needed to revise. His advice was spot on. For both scripts that he’s reviewed for me, I knew something wasn’t quite right, but I couldn’t put my finger on it. Howard was able to analyze what I wrote and let me know my strengths and weaknesses. I’m looking forward to working with him on some of the writing projects that I’m currently in various stages of writing. If you want a second eye to pick on possible problem areas or to just let you know if your idea/premise is interesting, please consider using Howard. He definitely has the right touch. I took a few days to let your script coverage sink in. I feel like I have this great moment of clarity. In a lot of ways, I feel like I grew as a writer reading through your observations and notes. From act structure to narrative through line, you helped me hone in on what I’m trying to say with this story and I’m hopeful I can elevate this premise to a new level and that is because of you. Your recommendations are also a life saver! No way would I have been able to see the potential plot twists you created, and that alone was worth the price. You gave me hope in this story and I am so rejuvenated and ready to tackle this again! Thank you so much. Great coverage and great tips on how to make my story resonate more! I have read all the…reviews and I ditto the sentiment. I was actually a little skeptical given I had several reviews in the past with not so good results. Howard is tough, honest and clear with his review. He knows what the heck he’s talking about [re] story. I truly appreciate him and FINALLY finding someone who talks the proper language. I will run all my scripts through him in the future. I have to be honest, you are the first person who actually knows what the heck he’s talking about [re] story. I paid hundreds to others. I truly appreciate you and FINALLY finding someone who talks the proper language. THANK YOU THANK YOU! I wouldn’t dare produce a screenplay without first having Howard provide coverage. He has the most uncanny ability to not only point to the issues and questions that plague my subconscious while reading or writing a script, he goes so far as to provide creative and compelling solutions for each problem. He is a most potent secret weapon. Worth every penny. I wanted to reach out as it has been a couple of months since you did my coverage on my TV pilot, Joe Hollywood, based on Joseph Kennedy’s time in Hollywood. I wanted to touch base and give you an update, after receiving your very though coverage and recommendations, I went back and made some important changes in the script. A few weeks ago, a lit manager reached out to me as he liked my pitch and requested my script. He really liked my pilot and asked for more scripts…that narrative throughline totally changed my script, brilliant man! $20 is a steal for this type of coverage. Howard, you are truly THE BEST. I would NEVER even consider submitting anything you hadn’t given me feedback on… and I would NEVER consider using anyone else for coverage… EVER! Even my screenplay being shopped right now — something as seemingly minor as a synopsis. Thank you for looking it over for me. Great feedback on the first twenty pages. He anticipated all the problems of the script without reading the whole thing. Howard’s insights on the first 20 pages of my screenplay were very insightful and pinpointed exactly what areas I needed to work on. His words of encouragement also showed me I was on the right track. I have gone through your notes, and I must say, they are priceless. I’ve wasted lots of time and money on some consultants that sound established, but cannot measure up with you. Howard’s coverage brought knowledge and perspective to my romantic comedy screenplay. His suggestions made sense for structure and for plot. Learned a lot about the process — a worthwhile investment for any screenwriter. Thank you so much for your great notes. It’s one of the best coverage I have ever gotten. I do appreciate it. I would like to use your service again in the near future. I want to thank you for your incredible “Spot-on” review of my script. Every issue you brought to my attention was extremely helpful in pointing out the flaws the writer (myself) may not see until someone else reads the script…I will absolutely call on you again for your services. I appreciate that you explain the flaws and give suggestions on how the fix the issue. I’m not looking for a pat on the back when I pay for a review. I’m more interested in the problems the script may have and how to correct them. You are extremely talented when it comes to showing an alternate view without trying to tell me how “you” would write the script. Howard’s notes were fabulous: shrewdly analytical while offering a great mix of creative suggestions. He really works his tail off and, as a writer himself, definitely knows how to communicate with fellow scribes. What I have learned from Howard Casner’s consultation has proven itself to be invaluable. I truly believe that his skill and honesty has made me a better writer. Believe me when I say I mean every word of it. I will be asking for more consultations in the future. Ferris E. Jones, Published Author and Screenwriter, Last Weekend in L.A.
Howard was the fresh pair of eyes that my script needed. It’s clear that he has a passion for what he does, and gift for it. Thanks to his notes and comments, I find myself re-energized, with a clear understanding of what needs to be done to take my story to the next level. I got some notes from Howard Casner on my unfinished screenplay that helped me reboot the effort. I like what I got but I am (and thus the story) pulled in too many directions. Howard’s notes should help my focus. Now I just have to remember to take it in bits and not be overwhelmed by whole … which wasn’t whole anyway. Howard’s coverage is everything that you would expect from an experienced writer and script reader, and then more. Not content with simply exposing the issues that undermine a story’s potential, his perspicacious feedback is both constructive and challenging, compelling the writer to reassess the quality and content of the script. In one word, professional. Howard is true to his word, he judges a screenplay on the merits of the story it wants to tell. I would recommend for anyone who wants to write films that risk going beyond the Hollywood three-act structure. Great coverage Howard. Way more than I expected. Thoughtful, intuitive and very detailed. You picked up on nuances I hoped to make, and others I perhaps could have. I am now finally fired up for rewrite. Loved your service. So very worth it. Just got my script notes from Howard Casner Script Consultation back for 101 Ways to Survive the End of the World and they are fantastic! Very helpful without being heartbreaking. If you are looking for professional coverage, I can not recommend him enough! Thanks to Howard’s very helpful notes and rapid turn around, I just optioned my screenplay, 101 Ways to Survive the End of the World! I recently sent a script to Howard for coverage and I had a short deadline. He responded with promptness and professionalism. I received the coverage in three days and he was spot with many of his notes. He provided ideas to improve the script all tidied up in an 8 page report. We also spoke by phone for about an hour. Very responsive. I am currently implementing 3 or 4 of those ideas and hope to submit the script in the next couple of days. 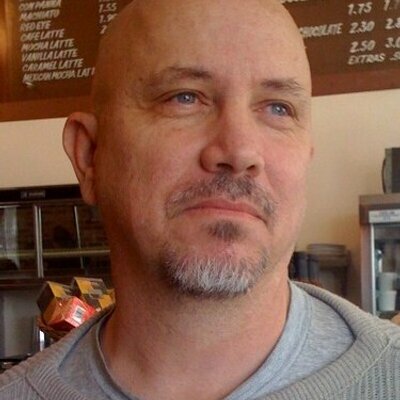 I will use and recommend Howard for future coverage. Thanks Howard. Thank you for your precise and professional notes on my screenplay “Among Thieves.” You’re right: it took a lot of work to get it right but I’m very proud of the results. I just received feedback from Howard, and I must say, I was thrilled. He is thorough, honest, and insightful, and supplied 8 pages of detailed and valuable notes. Not only does he pinpoint a problem, he gives suggestions as to ways to solve them, and offers a fresh perspective on the work! I will definitely be using Howard again. I’m so glad I found Howard Casner. His feedback for my screenplay was the best I’ve ever received. He shined a light on what worked, but more importantly, on what didn’t. His notes were thorough, pointed, and his vantage point clearly addressed problem areas in my script. Some of which I knew existed, and others that I didn’t see. It’s apparent he has a wealth of knowledge and a true talent for processing a story, then verbalizing how to elevate it. You get the sense that he truly enjoys providing feedback and isn’t just going through the motions, and that is priceless. After reading his coverage, I was inspired to immediately dive back in for rewrites to see where this story can go. That’s exactly where you want to be after receiving feedback. With murky waters out there when it comes to getting professional coverage, it’s exciting to know that such a resource is available. I’ll definitely use Howard again and I highly recommend his services to anyone wanting a unique, honest and insightful angle on your project. Thanks Howard! I’d like to take you up on this. How should I send the first 20 pages, and how do I furnish you with the $20? Thanks so much. The easiest way is to send the script in PDF (though I can do Final Draft) to my e-mail address hcasner@aol.com. The easiest way to pay is through Paypal and my account is the same as my e-mail address hcasner@aol.com. I look forward to it. How do I make payment for the 20 page review? It looks like you figured out how. I got the payment through paypal. Thank you for using my services. OI have a 22 page short. I have had one reviewer say it is shootable and another recommends I increase it to an hour before shooting or marketing. A friend says you give good review, so I would like your take on it. How much to review a 22-page script? Thanks for contacting me. I have a deal of 20 pages $20.00. Since your short is 22 pages I could do it for $20.00. The easiest way to get the script to me is through sending a PDF to my e-mail at hcasner@aol.com. The easiest way to pay me is through paypal. My account on that is also my e-mail name. Paypal says that if this is a “goods or services” transaction they will charge you a fee. Don’t know if you have to use “goods & services” for business accounting on your end. Should I just put it down as a “friends & family” transaction, or add a couple of bucks to cover the fee they will charge at your end for “goods & services”? Thanks for getting back to me. Yes, put it down as friends and family. That would be great.